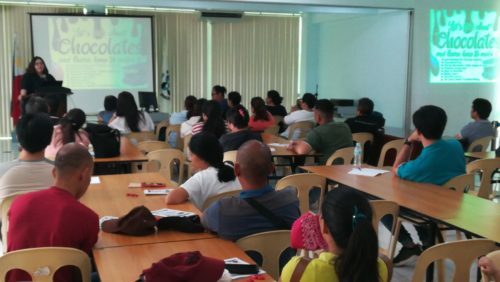 About 50 chocolate enthusiasts participated in the one-day enhancement training on chocolate processing on October 5, 2018 at DOST 7 Elena O. Diola Memorial Hall, Sudlon, Lahug, Cebu City. 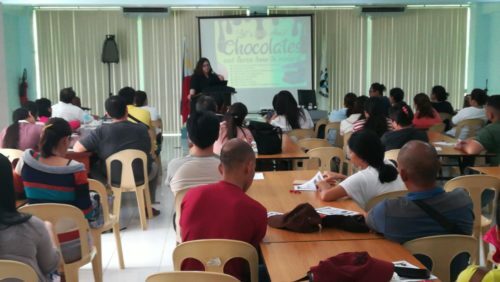 Organized by the Department of Science and Technology-Cebu Provincial S&T Center (DOST Cebu PSTC), the training was aimed to assist chocolate enthusiasts in the province by providing them skills training on understanding chocolate processing and the chocolate industry and training on the basics of chocolate making. 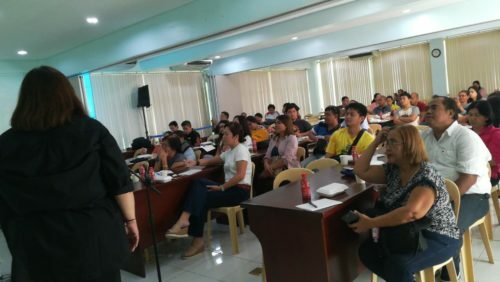 DOST 7's in-house chocolatier and chocolate expert Ms. Vina R. Antopina, Provincial S&T Director officer-in-charge of DOST Bohol was the resource person of the seminar. 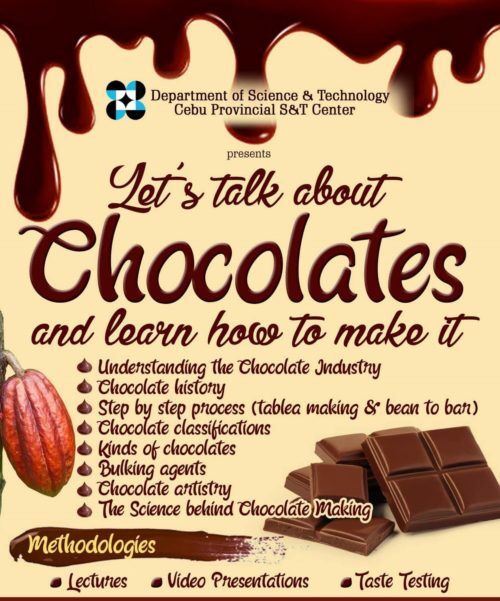 Ms. Antopina provides significant information on understanding the chocolate industry, history of chocolate, step-by-step process of tablea making & bean to bar chocolate, classifications of chocolates, bulking agents, chocolate artistry, the science behind chocolate making and the new innovation and trends of chocolate industry. The participants were also able to taste and experience the different kinds of chocolates.